Excellent original patina. Three socket base with GE Co. sockets. Shade with approximately 6 cracked segments. Overall very good original condition. 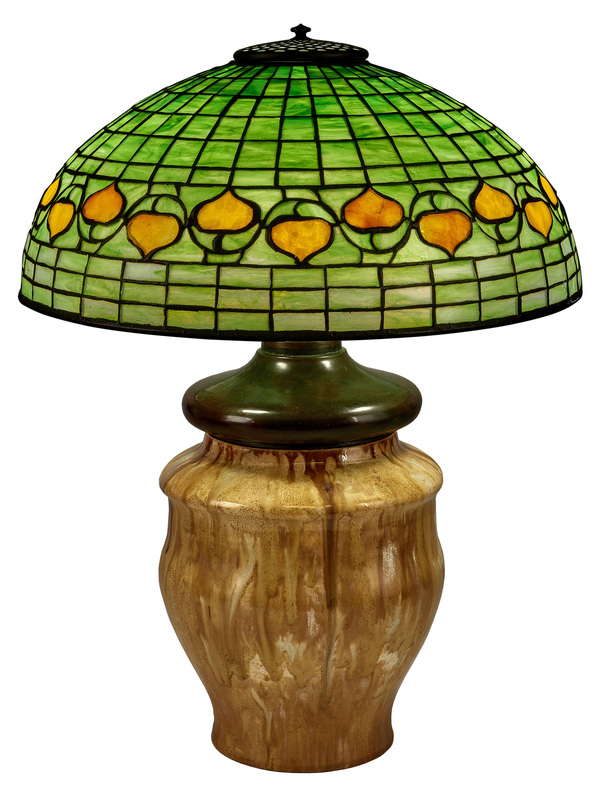 Excellent example of Tiffany Arts & Crafts lighting.